Hey! So glad to meet you. You must be aware of my habit of trying to stand out from the crowd. In another attempt, I am trying to do the same. This time, with a mesh top and some pretty dope complementary pieces. We got our hands on this one when kimonos were a coveted piece. The strong floral motifs on the black surface have a huge impact. 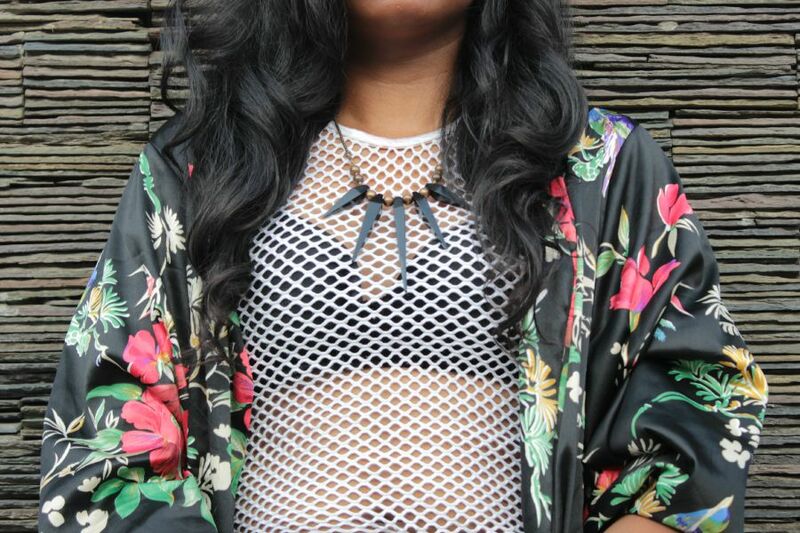 An ulterior motive of incorporating the kimono in the ensemble was to use it as a cover up to the mesh top. You would inquire, why does it need a cover up? 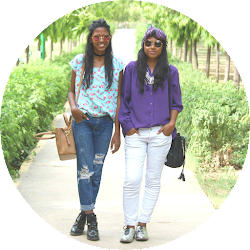 We live in a conservative Indian society where skin show is a taboo, only when it comes to Western attire. It does not hold true when a woman is draped in a saree. I personally condemn this malarkey. I wear pieces which I am comfortable in. The kimono kept me away from lecherous ogling, it also did a wonderful job by adding drama to the outfit. It would have been monotonous to see just a tee combined with a pair of black denim. The gladiators did a fabulous job in perfecting the outfit. No outfit is complete without a bag. This leather backpack has made a special place in my wardrobe. It is not only spacious, when it comes to bare essentials, but also a head turner. I hope you like the post. Do let me know how you would go about styling your mesh top. Are you a fan of it or not? I am providing links to my Instagram handle and Pinterest. Do give them a peek. You could check out some of my recommendations on Wooplr too. For daily updates on the blog, you could give us a thumbs up on our Facebook page. Oh I love that neck piece! This look is super fly, love all the textures mixed into one! Come back and visit anytime!! Will definitely check yours out. GIRL you totally stand out. I like to do the same thing ;) Love this kimono and your mesh top .. SERIOUSLY you are fierce. Thank you so much Kelly, we are euphoric to know women want to be heard loud and clear.